The Islamic State is paying the smugglers’ fees of child “refugees” to attract new recruits. Europol has identified as many as 88,300 unaccompanied minors among the illegal alien population overrunning Europe. Both the ISIS and the Islamic State affiliate in Nigeria–Boko Haram–have been recruiting in refugee camps using financial incentives, as well as working with the human smugglers. The Islamic State has reportedly offered as much as $2,000 per head in refugee camps in Jordan and Lebanon. Jordanian special forces discovered an Islamic State “sleeper cell” inside a refugee camp in northern Jordan. 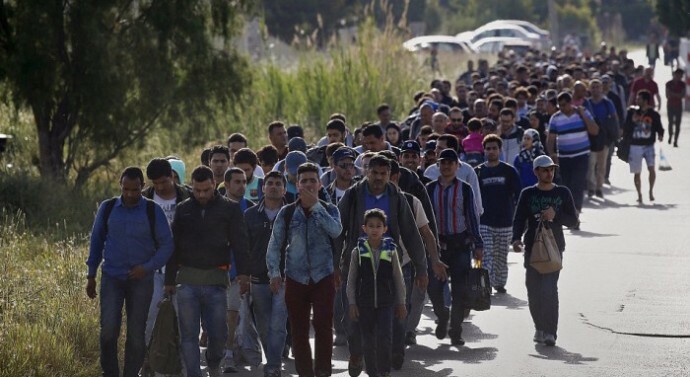 The Islamic State has issued warnings that they are infiltrating the refugee population. Jihadist groups have been extremely active in their efforts to influence and recruit in the refugee population. The term “refugee” is not meant to be all-inclusive here of all the people moving from the Islamic world to Europe and elsewhere in the West. Large numbers are better described as illegal aliens. Reports also indicate that the Islamic State is using food to recruit from the refugee/illegal alien population.